Tree care professionals are turning to microinjection units to keep trees healthy and free of pests and diseases. Microinjection units allow applicators to administer a product directly into a tree’s vascular system using a single-dose applicator that’s manually pressurized. This method eliminates spray drift and reduces groundwater contamination, while reducing applicator exposure. It’s also an alternative in areas where spraying is impractical or undesired. To determine how many microinjection units a tree will require, measure the circumference of the tree 1 ft. above the ground. Units should be spaced 6 in. apart. For example, a tree with a 96-in. circumference will require 16 microinjection units. Keep microinjection units cool and dry prior to use (above freezing, but under 100 degrees F). Tools needed to install the units include a cordless drill; a sharp, 11/64-in. drill bit; and a plastic-faced hammer or rubber mallet. 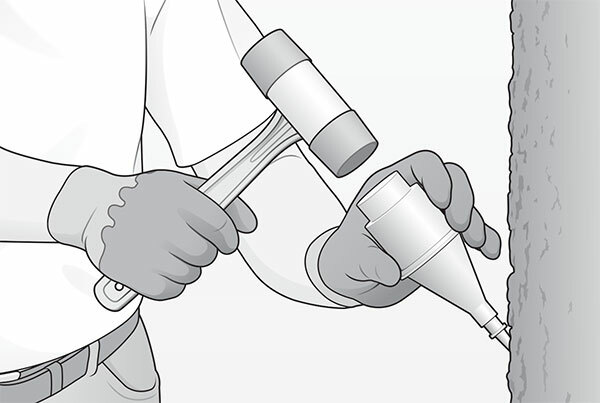 When handling, installing or removing microinjection units, be sure to wear personal protective equipment, including safety goggles and chemical-resistant gloves. 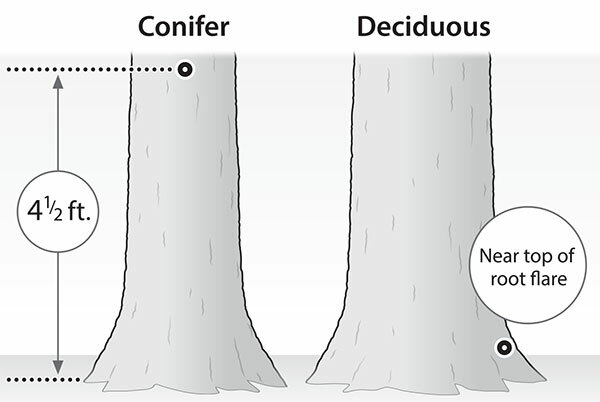 Follow these steps to properly microinject a conifer or deciduous tree. Drill a hole between the fissures of the tree’s bark plate at the proper location: 4½ ft. from the ground in conifer trees and near the top of the root flare in deciduous trees. Drill the hole at a 45-degree angle through the bark and approximately ½ in. into the wood. Add the tip to the microinjection unit and place it into the hole. 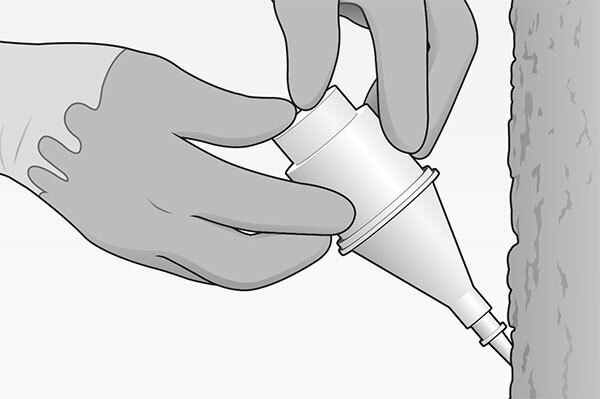 Place the solid PVC installation cap over the microinjection unit and then seat it by gently, but firmly, tapping the cap until the unit is snugly seated against the bark and the internal seal is broken. Pressurize the microinjection unit by pushing the end with your thumbs. Remove the unit when it’s empty but not more than 72 hours after the installation. Twist and withdraw carefully and place into a collection bag. Consult the product label for advice on proper disposal. To download a PDF copy of this page from the magazine to use as a training tool at your company, click here.